Meet us at the Food Allergy Bloggers Conference in Denver this month! 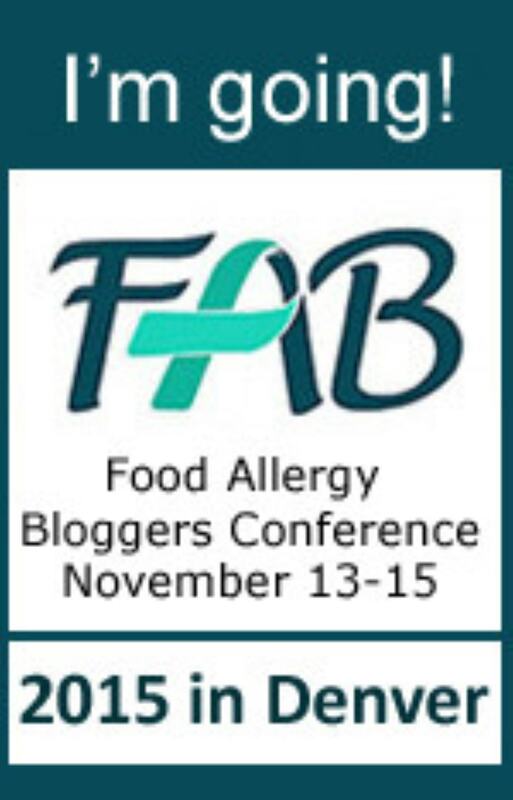 The 2015 Food Allergy Bloggers Conference is taking place November 13, 14 & 15 2015 in Denver, Colorado at the Denver Renaissance Hotel and we’re excited to be going. First held in 2013, The Food Allergy Bloggers Conference unites food allergy bloggers with the advocates, medical professionals, and the companies who support food allergy living and safety at one event. With dual tracks of panel discussions focused on disease management and blogging information attendees have a chance to learn from experts, which can later be applied and shared with their readers and communities. “The idea for a FAB Conference is something Jenny Sprague had been pondering for about two years before it became a reality. It stems from the longing to connect, share, learn, and meet all these amazing people she had come to know virtually, through Twitter, Facebook, reading their blogs, or books. They had helped guide her on the food allergy journey, and in turn, she has tried to help others. As Jenny verbalized this idea and shared it among her inner circle of friends, they too saw the value, and were equally excited at the idea of having a conference for all of us. This conference is a great opportunity for us to come together, to share, learn and connect with each other!” – Source: FABCon.com. With an impressive list of speakers, sessions, and sponsors, this is sure to be an excellent event! We hope to see you there!